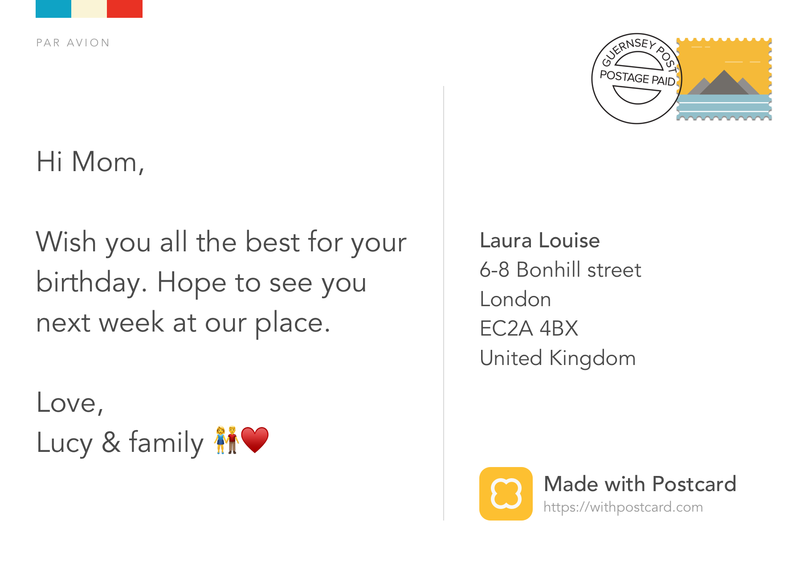 The easiest way to send a real photo postcard from anywhere for just . A personalized postcard is a great way to wish a happy birthday, merry Christmas or just make someone's day. Our postcards are 6x4" (15.2x10.9cm) printed on high quality card stock with a gloss finish and are dispatched worldwide. We offer free delivery worldwide.